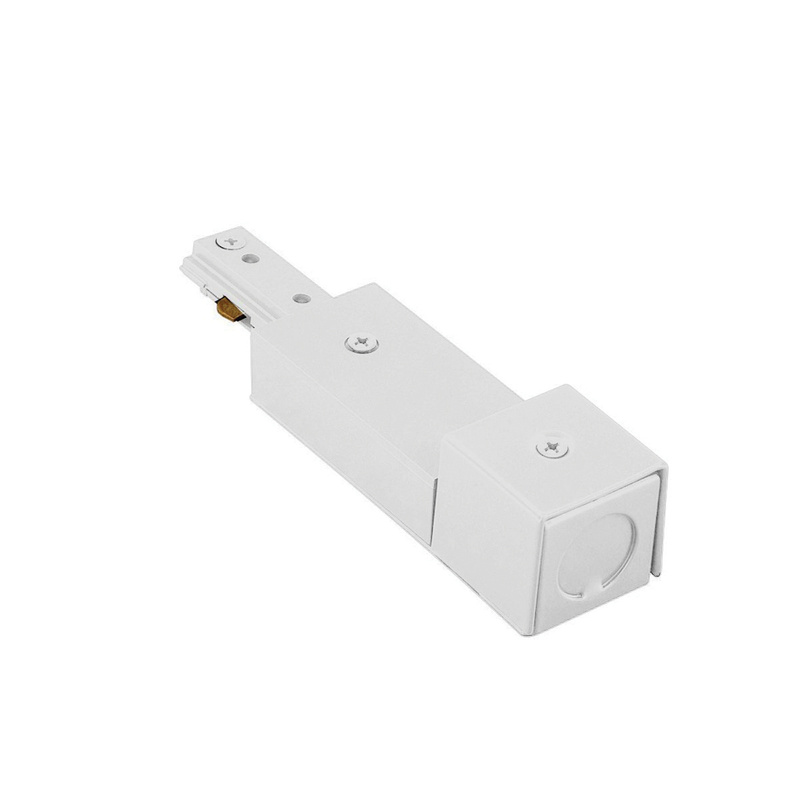 WAC Lighting H Track Live end BX connector in white color, is perfect for 120-Volt 1-Circuit track system. It measures 6-Inch x 1-3/8-Inch x 1-1/4-Inch. This connector features polycarbonate construction. It supports ceiling mounting. Connector is ETL listed.